It’s spring, and you know what that means: summer is almost here! LA’s seasons are differentiated by event offerings. Summer is all about the outdoors: outdoor screenings, art walks, festivals, and music. And it gets started early. 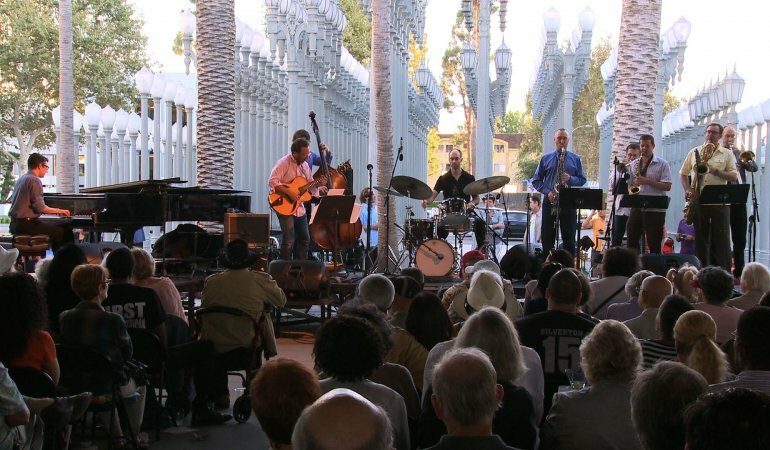 The 2017 Jazz at LACMA concert series begins this Friday night at 6 pm. Featuring composer and arranger Gordon Goodwin and his Big Phat Band, the concert is free and open to the public. takes place at the museum’s Grand Entrance. 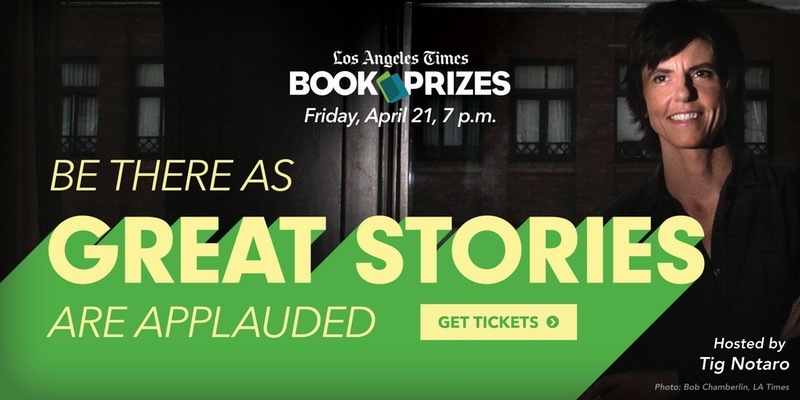 Join many of the world’s most distinguished authors at the 37th annual Los Angeles Times Book Prizes. Hosted by Tig Notaro, it’s bound to be an entertaining night honoring the best books and writers of the year. Join Library Foundation of Los Angeles members and LA Times Festival of Books authors at the historic Central Library for the foundation’s 25th anniversary celebration. Bring a book to swap, enjoy snacks, desserts, local brews, delicious coffee and a tequila tasting while listening to a KCRW DJ. Saturday, April 22, 8-11 p.m. Architecture firm Hargreaves Associates won a design competition held for the park in 2006. 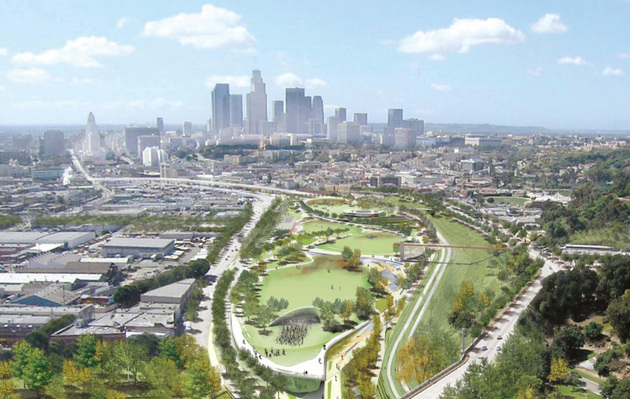 Twelve years later, Los Angeles State Historic Park is ready to unveil itself as a world-class park. Situated just outside of Chinatown, this 32-acres of open space features drought-tolerant design and natural pathways. Celebrate the grand opening with musical performances, activities, and food trucks. 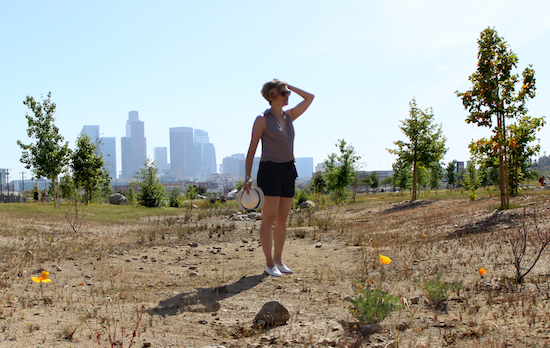 The Downtown LA skyline rises dramatically in the near distance. The park is easily accessible by the Chinatown Gold Line Station or by bicycle. Limited parking in the park. Building Bridges Art Foundation presents Melanie Pullen: A History of Violence, a solo show of select artwork by Pullen. The exhibition features select pieces from the artist’s photographic series spanning nearly two decades. The works examine the ways entertainment and the media have lessened the impact of violence, trauma and social conflict. On the 10th anniversary of Record Store Day, head to one of the participating record stores and pick up a special release, like the Leonard Cohen tribute album A Drunk In A Midnight Choir – one of Record Store Day’s first actual label releases. Or shop any number of sales or attend any number of events – every Record Store day location celebrates in a different way. Check the website for participating stores. This event is pricier than most I typically post (usually I steer clear of events over $10). 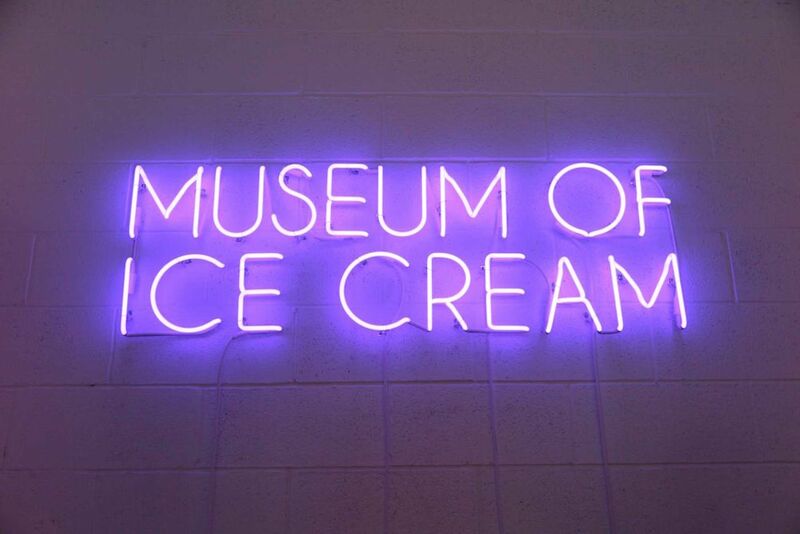 But opening weekend of the much-anticipated Museum of Ice Cream seems worthy of consideration, even on a budget. Featuring a very Instagrammable sprinkle pool (with 100 million sprinkles), a banana split with 10,000 bananas, and a mint grow house, get ready to see the Museum of Ice Cream blow up your social media. The museum will only be up from April 22 to May 29. It’ll showcase a “scoop of the week” from ice creameries in California, including McConnell’s, Salt & Straw, Coolhaus x Cuisinart and CREAM. Tickets must be purchased in advance; they’re not sold at the door. Two ice creams are included with the ticket prices. Bring your gently used clothes to Angel City Brewery for the third annual Renew Earth Day celebration. All donations go to toSt. Vincent de Paul of Los Angeles (SVdPLA). Vintage racks and decor pieces from SVdPLA will be sold onsite. Donors will get raffle tickets for great prizes. Angel City beer, food trucks and live music (from The Howling Faith, The Vignes Rooftop Revival and Silverlake Trio) will be available throughout the day. Celebrating the first 20 years of the city of Los Angeles’ (COLA) Individual Artist Fellowship Program and its 271 visual, performing and literary artists / artist-duo recipients, view works by a long list of LA artists. 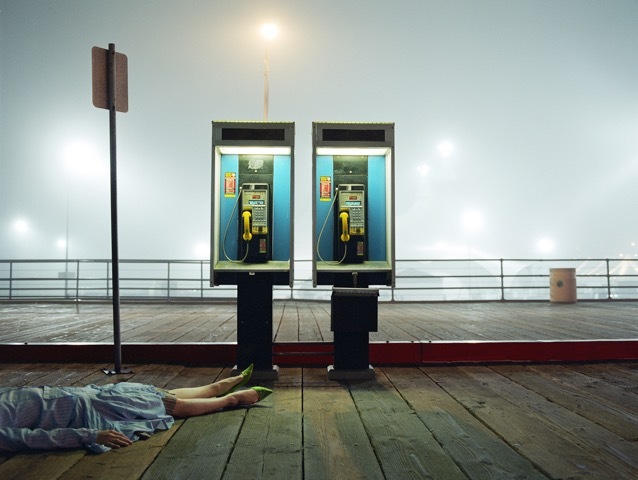 Presented by Los Angeles Department of Cultural Affairs’ (DCA) and LAMAG (Los Angeles Municipal Art Gallery),which is one of the country’s last municipal galleries. The exhibition will remain on view through July 2. One of my fave events of the year is here! Incredible authors of all genres descend upon the USC campus to talk about my favorite things: books, writing, film and theater. Check the website for transit info and a schedule of events.